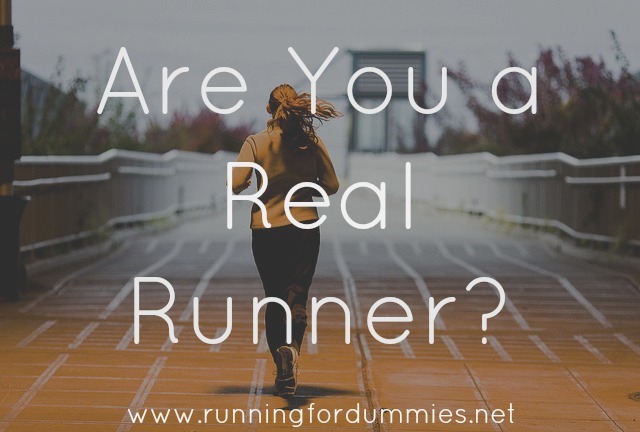 RUNNING WITH OLLIE: Are You a Real Runner? 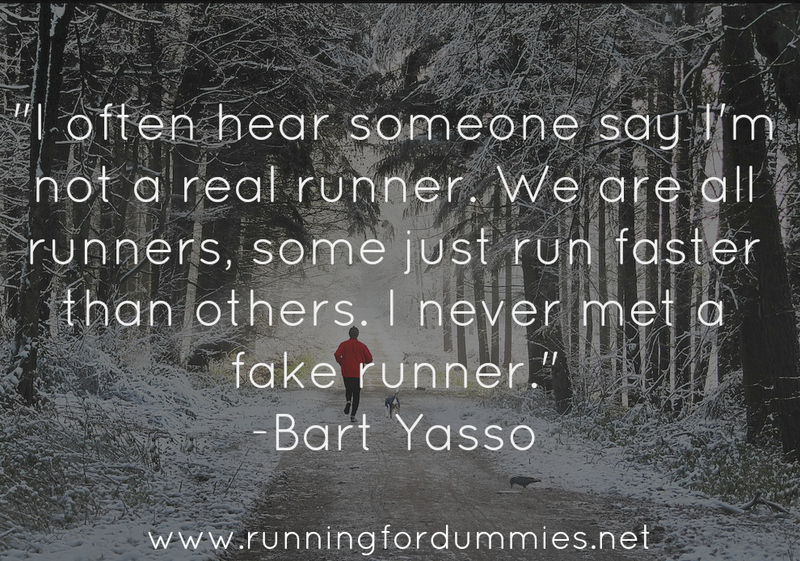 I hear runners say all the time, "I'm not a real runner." 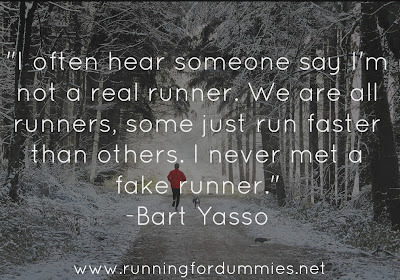 I had a friend that used to say that she was not a real runner like me. She ran a half marathon! That sounds like a real runner to me. She thought she too slow to be called a real runner. I say being a runner has nothing to do with speed. My sister always says that she is not a real runner. She says that since her focus is on weight lifting, and running is not a priority in her training, that she is not a real runner. She runs a handful of races every year and she runs up one of the steepest longest hills in Pittsburgh for fun (to the top of Mt. Washington for yinz locals who know it.) That sounds like a real runner to me! Why do people think there is a certain criteria for being labeled a runner? 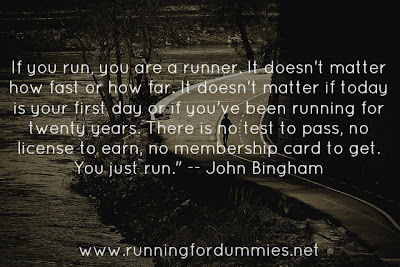 My favorite Running Quote: "If you run, you are a runner. It doesn't matter how fast or how far. It doesn't matter if today is your first day or if you've been running for twenty years. 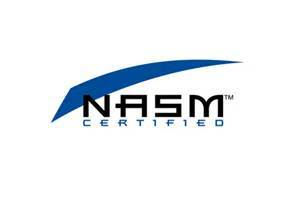 There is no test to pass, no license to earn, no membership card to get. You just run." John Bingham. For some people, I think it is an issue of self-identity more than anything. Although they don't identify themselves as runners, they do, in fact, run. If you run, you are a runner. I can relate, when I joined CrossFit last year, they referred to the members as athletes. Although I work out and run on a regular basis, I never really considered myself an athlete. An athlete seems like someone who is competing in the Olympics or at least is good in sports. I always have been terrible at organized sports. It sounds weird to my ears for someone to refer to me as an athlete and it definitely seemed strange to call myself one. Maybe I'm afraid to call myself an athlete because I'm afraid someone will tell me that I'm really not. It is the same thing. If you participate in athletics then you are an athlete, whether or not you self-identify with it or not. If you only run on the treadmill, then you are not a real runner. If you run a pace slower than (insert arbitrary pace here) then you are not a real runner. If you take walk breaks, then you are not a real runner. If running isn't your main focus of your training, then you are not a real runner. If you run less than (insert arbitrary miles here) then you are not a real runner. If you don't participate in organized races, then you are not a real runner. 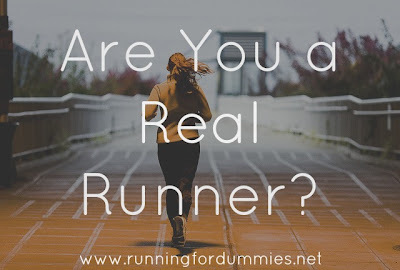 If you don't have a certain body type, then you are not a real runner. If you don't have $150 running shoes, you are not a real runner. I call bull on all of the above. Okay, not sure what exactly I meant to say in that last sentence, but you get the idea. Lol. I sometimes struggle with the fact that I am so slow and I see how fast others run and I let it frustrate me sometimes. I think I am a runner, just not a good fast one! But I am okay with that as long as I don't quit doing it! YOU are definitely a runner, you COACH others in running. What other running requirement could there be? you rock. Thanks Lea! Awesome blog post topic btw!! This is such a struggle. I've now been running regularly for over a year and I still don't feel like a runner. The people I know who I consider runners are super fast and super skinny and I am neither of those things. As with anything though, the fact that *I* enjoy running and it makes me feel better about myself and my life is what counts and about 99% of the time I can keep the doubts at bay so I manage to keep running. Guilty of the 5th excuse. Though not so much anymore. I also used to feel like I was too slow to be a runner. Keep in mind, this is just when it comes to me. For anyone else, I've always believed everything you said above :) These days though, I think I can call myself a runner. 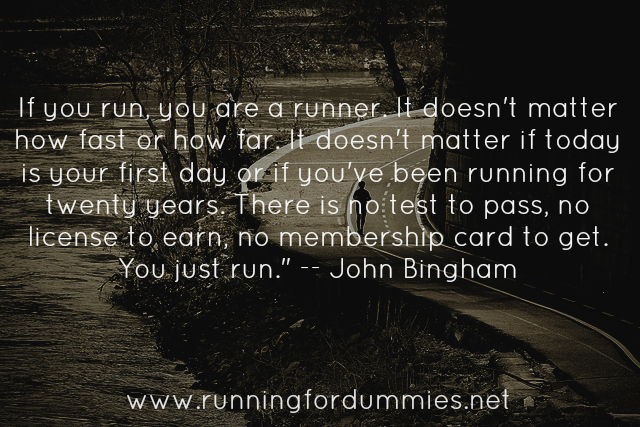 You are TOTALLY a runner. You are a badass! I am proud to be a runner! I have worked hard to be where I am. I hate when people label others. Yes! thank you for your positive attitude! We need more of YOU! I totally agree. 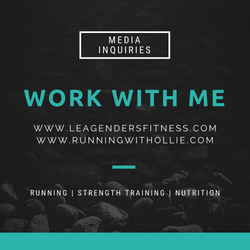 After more than 20 years of running, even though I am much slower, don't train nearly as hard, I still call myself a runner and an athlete. It is really how we feel about ourselves, and the confidence we feel. I am a runner! And I need to stop saying "I've signed up for a 5k race, but I don't know if I'll manage it" when I know full well, I will be ready by then!! So true! In the fall I got to run with the great Joan Benoit Samuelson. People kept asking her about marathons but she finally said you don't need to run a marathon to be a runner. You don't even need to run a race. If you are out there moving that's all that matters! Love it, live it baby! This is just what my blog is all about. Awesome thanks for posting. Awesome post Leah!! And sooo true! It took me forever to really consider myself a runner because I am slow. But after 13 half marathons and 2 full marathons I think I qualify as a real runner! As long as you lace up your shoes and off you go, you are a runner and most certainly faster than anyone still sitting on the couch! What a great, great, great post! Thank you. I love spinning; however, I want to run a 5K sometime this spring. I won't even say it but running is difficult for me. I want to push through the mental block and physical stuff and just do it. I ran on the treadmill a few days ago and struggled but I started, and that's all that matters to me right now. I know it's going to take time to train. No excuses this year, none. I love your blog. Love this and hate when people feel like they aren't runners because [insert reason]. If you run, you are a runner! Love this post! 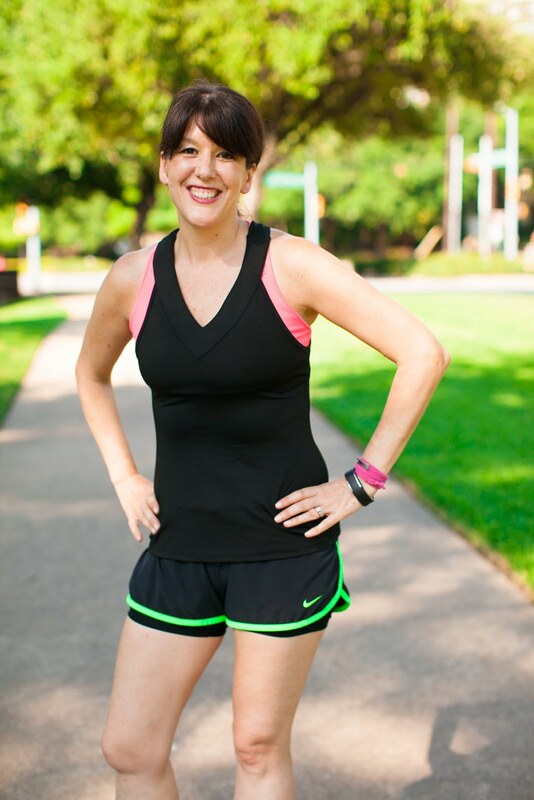 I'm proud to say I'm a runner, but it wasn't too long ago that my husband would tell others that I was a runner, and I would make excuses to the contrary. I still sometimes find myself doing it. Thanks for your post. ive only just started running again and running was never something I set out to do. I see runners in my neighborhood and think "why would you punish yourself 'pounding' pavement" ,now after several months I enjoy the scenery,waving at neighbors and feeling good at the end. Im slow, still got 20lbs to lose, and run in tshirts and shorts, but I run and finally consider myself a runner. It is definitely all about self-identity and confidence. I love to see new (and old) runners, crossfitters, zumba dancers, TRXers etc taking on the identity of athlete and owning it. To me being active and loving these activities, even if I'm not the best at them, makes me happy, it makes me feel whole and like I'm doing good for myself. I hope people read this post and start thinking about taking on the identity and being proud of themselves! I love this. For so long I thought I wasn't a real runner because I was so slow. Even today at my 5-mile race (my fist race since October), I had to run very slow. But you know what? I also signed up for my first marathon today and have run several half marathons. Some days I run, some days I don't, but I'm still a runner. I am a real runner... but it's taken me about 2 years of it to consider myself one... Geez! I'm getting ready to run half marathon number 8!! I think it's hard for us because we compare ourselves to everyone else in the beginning.. once you realize that running is about beating yourself, do you consider yourself a runner..does that make sense? I'm not a runner and I don't know that I ever will be. I'm a swimmer and while I use running as a means to an end (extra calorie burn, tri-training, mental escape, etc) I will always be a swimmer first and foremost. Unless I can be both and then I'm working on it.